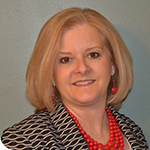 Mary Schmidt, PMP, RID, IIDA, Senior Project Manager and Senior Associate, recently received her PMP certification. Mary graduated from the University of Alabama with a Bachelor of Science in Interior Design. She has more than 35 years of industry experience in all aspects of interior design from project development through construction. Mary works in SSOE’s Birmingham, Alabama office and supports the firm’s healthcare and commercial design teams. To earn an ISO 9001:2015 Lead Auditor certification, an individual must successfully complete the 32-hour training course. The course efficiently teaches participants how to lead an ISO 9001:2015 audit, train others on ISO 9001 (the standard) and ISO 9000 (the vocabulary for the standard), and conduct internal audits and supplier audits for their company. Shawn Turner, Jr., Assistant Project Manager, recently received his ISO 9001:2015 Lead Auditor certification. 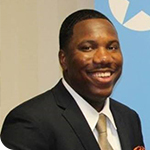 A Michigan State University graduate with a Bachelor of Social Science in Criminal Justice, Shawn works in SSOE’s Troy, Michigan office. With nearly a decade of experience, he supports the firm’s corporate quality systems group and is responsible for conducting internal audits, assisting the quality systems manager with continuous improvement initiatives, and facilitating lessons learned sessions.